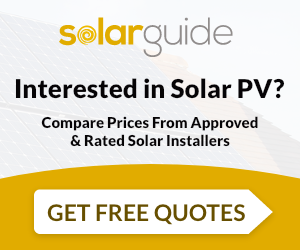 For owners of solar PV which was commissioned before the close of the Feed-in Tariff in March 2019, the solar Export Tariff pays a lot less than it costs to buy energy from a supplier. For this reason many homeowners are adopting solar batteries to make their investment in solar technology more lucrative. Storing excess energyy generated by the solar panels in a solar battery allows the home to use the energy generated by the panels at night, further reducing energy bills, and thanks to products like Tesla’s Powerwall they’re becoming more affordable. If you don’t have the budget to invest in a solar battery then there are still many ways you can get the most out of the energy being generated by your solar panels. Monitor your solar production: What is the Solar Power Being Used For? Monitoring what and when your panels are producing will allow you to ‘spend’ your energy in the most efficient way. There are plenty of devices and apps that allow you to do this easily so that you don’t have to manually check your generation levels. The Centre for Sustainable Energy recommends keeping a list of your appliance power ratings next to your inverter or energy monitor so that you can choose which items to run based on what your panels are generating and what the appliance will use. Try and avoid running all of your appliances at once as this will lessen your chance of needing to use additional power from the grid. Try and set appliances to run during peak generation times, taking the periods you will be at home into consideration. For example some homeowners will run their dishwasher in the morning, ensure there is nothing scheduled over lunchtime and then run the washing machine in the afternoon. If your appliances don’t have built in timers, there are manual and digital timers that can be added to many appliances. You could also consider fitting timed plugs for appliances that need charging – for example electric toothbrushes, phones and laptops. When you’re generating your own electricity it can be tempting to run appliances like washing machines and dishwashers with partial loads. The downside to this is the amount of extra water that you’ll end up using. Many homeowners choose to go solar to reduce their energy bills and generate clean, renewable energy to minimise their impact on the environment, using more water than you necessarily need is counterproductive to this. One of the best ways to utilise your extra solar energy is by using it to power your immersion heater. Whilst the immersion heater in a hot water tank is normally used if your boiler breaks down (or if you have no boiler) powering it with solar energy can take some of the load off a gas boiler. 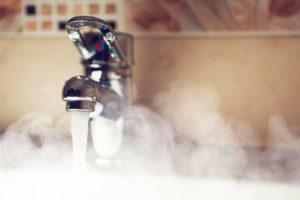 If you have enough excess electricity you may even be able to generate a whole tank of hot water. You might be surprised by how much energy some of your appliances could be guzzling down. Not to worry though as there are plenty of alternatives on the market which can do the same job and use a lot less power. When it comes to buying more efficient appliances make sure to check the energy efficiency labelling. It’s not just large white goods that can be swapped for more economical versions, you can also find kettles, vacuum cleaners and other smaller gadgets with the same treatment.